Oklahoma scholastic media advisers gathered at Gaylord College July 19-23 for training in online media publications. Have you ever heard that teachers make the worst students? I’ll admit, as a professor, when the tables turn and I become the student, I am not often the ideal pupil. However, I also have to say, what makes teachers bad students often makes them excellent teachers. 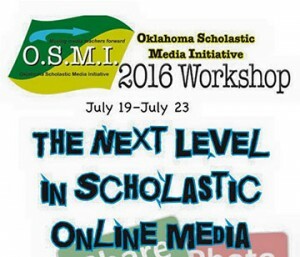 Recently, July 19-23, I ran the Oklahoma Scholastic Media Initiative in my fourth year as its director. This grant program, made possible by Ethics and Excellence in Journalism Education and Gaylord College, gives money to scholastic media teachers to start or improve student-led online media publications and provides training for them in running those publications. For the 2016 program, we trained 18 teachers and awarded 14 schools with a grant between $3,000 and $7,000 per school, for a total of $70,000 in funding for scholastic online publications. For five days, media professionals and Gaylord faculty and graduate students offered sessions to the teachers on topics ranging from setting up and managing a website and using social media to report news to refreshers in photography and media writing. During our time together we joked often about how a bunch of teachers in a room all together often talk over each other, interrupt, can’t settle down, take a presenter off topic–you know all those actions we don’t want our students to do. But I figured out why we (teachers, instructors, professors) are like this. The energy in a room full of educators is too electric to contain. We are full of ideas and knowledge, and it wants to burst out of us in all directions. That’s what I witnessed at OSMI 2016. 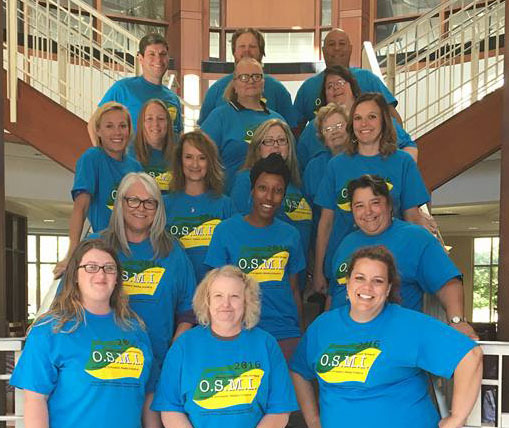 Thank you to EEJF and Gaylord College for making OSMI happen, and thank you to all the presenters and participants for making the week something special. I can’t wait to see what you do with your funding! I'm an assistant professor of journalism and director of Oklahoma Scholastic Media at the Gaylord College at the University of Oklahoma. My media interests include news and feature writing, layout and design, and novel and screen play writing. My research interests include community journalism and service learning. iPad Rollout, Domains and WordPress, Oh My!